When I was starting the Quest for Inter-City train, I was asked what I’m going to do with the stickers – my answer at the time, I don’t know. 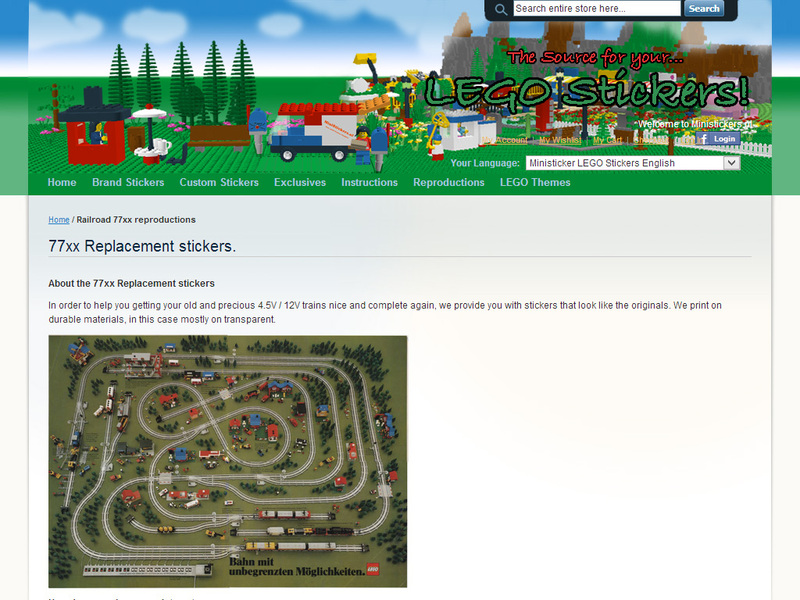 More recently I took a look at some of the stickers in my childhood LEGO Trains collection. Currently my plan isn’t to acquire stickers for the 7740 Inter-City Passenger Train, I think getting there without them will be achievement enough. Some of the used parts I acquire may have stickers on them, but that will probably be the extent of it for now. However, as an option and one potential answer to this question, do check out the replacement stickers service at Ministickers.nl. I will certainly consider them, if the need arises.